As evident in the videos and articles linked below, Professor Katherine Baird Darmer was an outspoken advocate for justice, a brilliant legal scholar, and an inspired teacher. 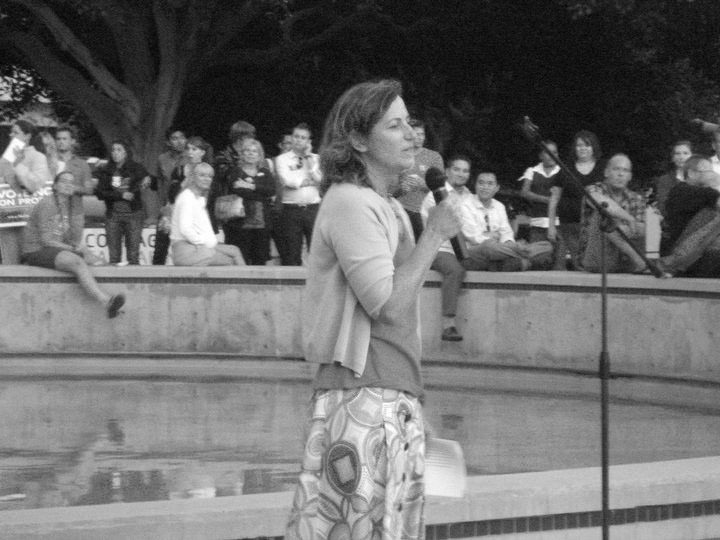 She was a frequent commentator on legal issues relating to U.S. torture policies enacted as part of the “War on Terror” and, on California’s policies on marriage equality and Proposition 8, among others. She was a founding board member and chair of the legal committee of the Orange County Equality Coalition and a founding board member of the Lavender Bar Association of Orange County. Katherine will be remembered by her family, friends, colleagues and students for her energy, keen intellect, and remarkable eloquence. She forever changed Orange County and her legacy lives on in the organizations she founded and the many friends, colleagues and students she inspired. This legacy also extends through the award of the M. Katherine Baird Darmer Scholarship, given in Katherine’s honor to a law student who shares in her vision of a just society and a progressive Orange County. Professor M. Katherine Baird Darmer’s scholarly work can be accessed here.